Ready for a solid helping of iOS 11, Watch OS 4 and macOS update news? 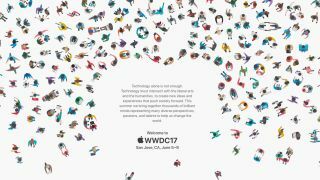 Then pencil in June 5 through 9, as those are the dates Apple has just confirmed for the WWDC 2017 event. The developer-focussed showcase has long been the conference at which Apple details its major software plans for the next 12 months, though sometimes it's also offered the odd hardware surprise too. Apple's invite for the 28th annual event confirms this year's WWDC will be held at the McEnery Convention Center in San Jose, with developers able to pick up tickets form March 27 at developer.apple.com/wwdc. It's the first time in 15 years that the company has held its event at the San Jose venue, having set up shop in San Francisco's Moscone West in recent years. According to Apple's press release, the event will "inspire developers from all walks of life to turn their passions into the next great innovations," with the Cupertino company specifically calling out iPhone, iPad, Apple Watch, Apple TV and Mac devices, suggesting we'll get some fresh features for each of their respective software platforms. With Apple facing increasing competition in the home tech sector from Amazon and Google with their respective Echo and Home devices, Apple will likely be pushing their HomeKit and SiriKit developer kits hard, for fear of losing ground on its quickly advancing competition. We'll have all the news coming out of San Jose come June, so keep glued to TechRadar for what Apple has in store in 2017.